Timotay Playscapes is an award-winning playground surface company that work all over the UK. 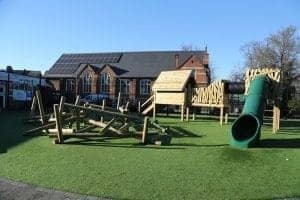 We are experienced and dedicated about making sure children and all other users are safe at all times with our playground surfaces, using the latest safe materials at all times and ensuring every aspect is done professionally. We take control of the entire process from start to finish too for total reassurance and quality control at all times. We take care of everything you need from start to finish. We work closely with local projects, leisure businesses, family attractions and many other commercial businesses to help them to make the most of visitor experience and ensure safety for playground users at all times no matter what age or the size of the group. 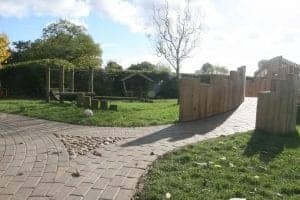 We were established back in 1985 in rural Northamptonshire, here at Timotay we have developed and moulded ourselves into a strong, capable, professional unit, creating and delivering amazing outdoor spaces, playgrounds and playground surfaces and making sure we provide safe playground installation at all times. Safety is always at the top of our list and we like to make sure we have all angles covered so you can rest knowing we are taking care of everything. We understand the process can seem daunting and can guide you through our process. We offer a free consultation too and we understand you might have some questions and we will gladly answer these to help. We have a multitude of examples on our site and you can see great examples of our work, we are always professional and our staff are all industry experts and fully trained so we know what we do. We offer the full package when it comes to playground surfaces and can take care of everything from start to install. We create bespoke designs for any shape and any size too. See examples in our image gallery of previous work. We have many previous happy customers who all come back for repeat business, a sign we are doing well. Contact us, we will offer free consultation, then design and a free no obligation quote. From here we can begin planning should you wish to go ahead and then completion. We provide every stage you need. It is so important now more so then ever to ensure the safety of children of all ages when using an area for play and recreation be it school or leisure complex, no matter what the activity is. We can provide a detailed full and clear quotation with a full breakdown of what’s involved at all times too so you always know what is going on. We offer playground surfaces that will allow freedom to play. Book your free consultation online or phone us to have a quick chat on your requirements and how we can help your business today. 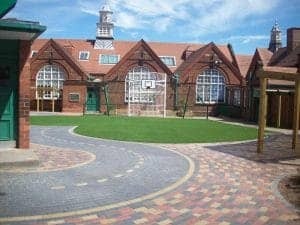 Every school or educational setting is unique no matter what the size, and also has pupils with specific requirements, so it is crucial that this is understood and reflected within the school playground design and construction process from start to finish. Especially at a young age it’s all about learning. 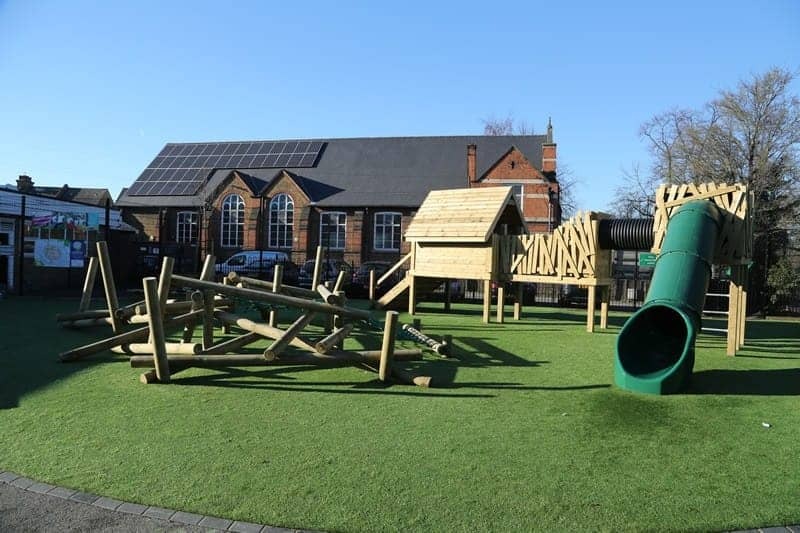 Timotay Playscapes has worked extensively with schools of all sizes throughout the UK and globally to create inspirational and bespoke playgrounds and outdoor spaces. Outdoor inclusive play for all children, provides and nurtures an environment where diversity is respected and valued, it enables children of all abilities to play together in amazing settings, and develop relationships on an equal footing in a child centred environment. This is always at the forefront of Timotay Playscapes designs and playspaces on each and every project. So we make learning fun. So whether it’s a cave, a mound, water play, a trim trail or a forest school… or an area for scientific learning. Timotay Playscapes are here to help with your outdoor playgrounds, play space and school or nursey playground design. 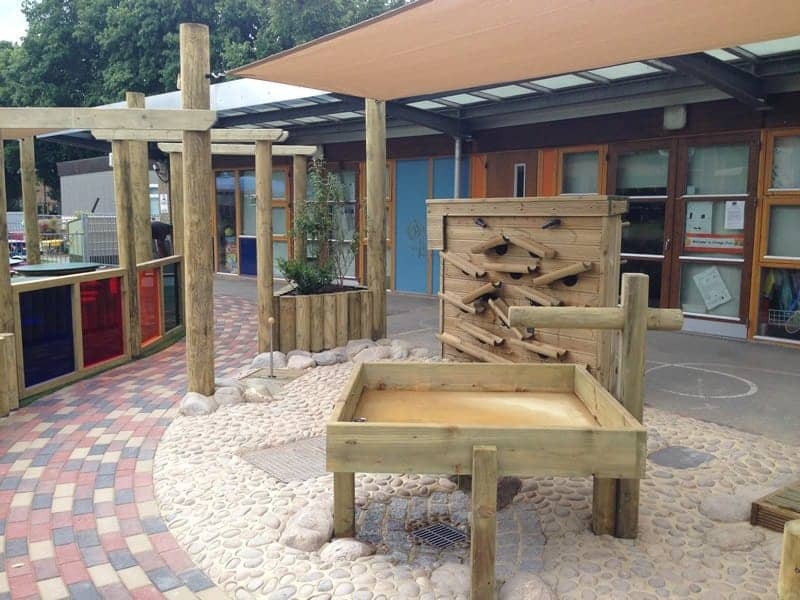 Outdoor space and nursery playground design for children of all ages is essential for learning and development. When designed and constructed in the correct way, if can provide an engaging and challenging environment for the children to explore their physical capabilities, challenge their thinking and problem solving skills, in addition to developing their personal, social and emotional understanding and their development. Plus it’s all about having fun too. 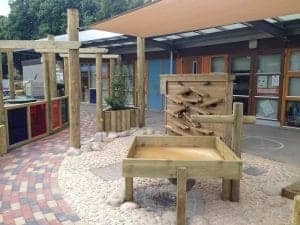 A Timotay Playscapes nursery playground play space provides practitioners within the setting an opportunity to extend classroom learning to outdoor exploration. We can even include all the safe play equipment your space could need. This creates a combination of high quality outside provision, with high quality adult interaction to enable children to demonstrate and develop effective characteristics of learning. Helping them grow and learn as they play without even realising. Contact Timotay Playscapes today for school playground design & wooden playground equipment quotes.